Malwarebytes Anti-Malware free download latest version 2.2.0 for Windows 32/64 bit. Get Malwarebytes Anti-Malware offline setup, standalone installer. 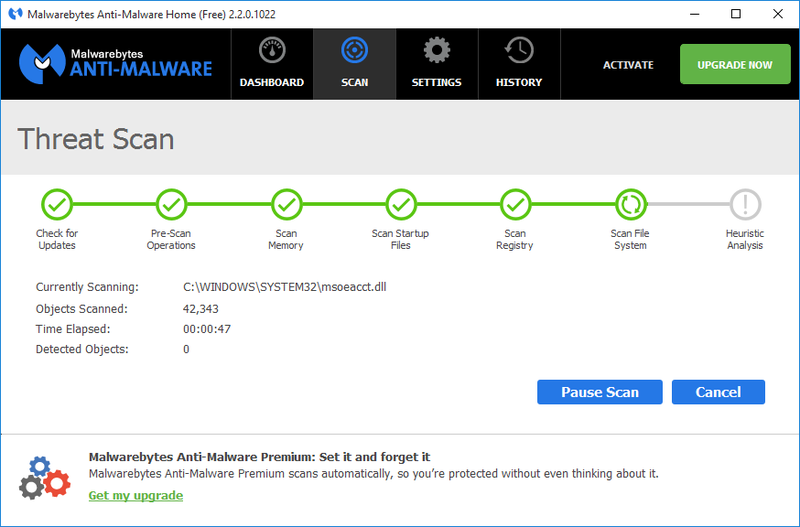 Malwarebytes Anti-Malware is a free solution for detecting and removing worms, Trojans, rootkits, spyware, and more. This application uses the batch mode scanning which reduces the potential conflict with another anti-malware software installed on your computer. The malware definitions are updated constantly in order to keep your system protected against threats. You can also upgrade the free version to premium and get some extra cool features like preventing malicious websites, real-time protection, faster scan by only looking for active threats, scan and database updates scheduler. Anti-Malware Protection Module which requires registration. Scan certain files using Context Menu integration. Improved safeguards to prevent false positives. Extra utilities to help delete viruses manually. Download Malwarebytes Anti-Malware latest version 2.2.0 by clicking the download button below. After the page opens remember to choose the “Download through your browser” option to start Malwarebytes Anti-Malware Free Download Offline Standalone Installer.